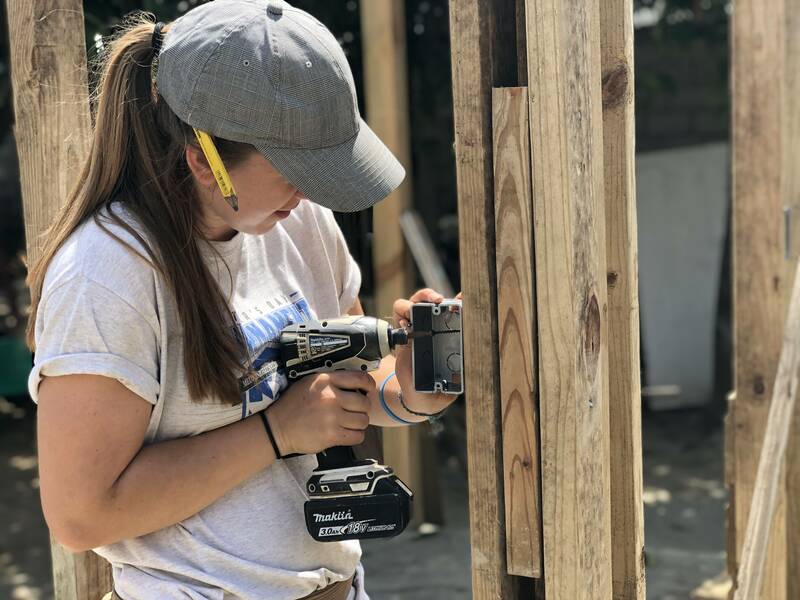 Serving as a Casas por Cristo intern is an amazing opportunity to stretch yourself as you step out in faith to serve others by building homes in the name of Christ. As an intern, you will spend the first couple of weeks of your summer doing on-site training. After this, you will be partnered with other interns to build homes and lead available teams through the building process. When available, you will be guiding a team through the Casas por Cristo experience – helping them navigate the city they’re in, introducing them to the family they are going to serve, directing them through the building process, and problem solving on the job site. You will also have the opportunity to share your testimony with your teams and other interns as you facilitate their mission’s experience. In the weeks you’re not building, you will get to work behind the scenes and receive a firsthand look of all that goes into the ministry of Casas por Cristo. Through these experiences, you will have the tremendous opportunity to be challenged physically, emotionally, and spiritually. If you get hired as an intern before 2019, you’ll receive our bonus merchandise pack from the Casas store which includes a hat, hoodie, Casas flask, coffee mug, and coffee! For more details or to apply, contact Brigham Dion, Intern Manager, at bdion@casasporcristo.org or 915.778.0046 ext. 17.